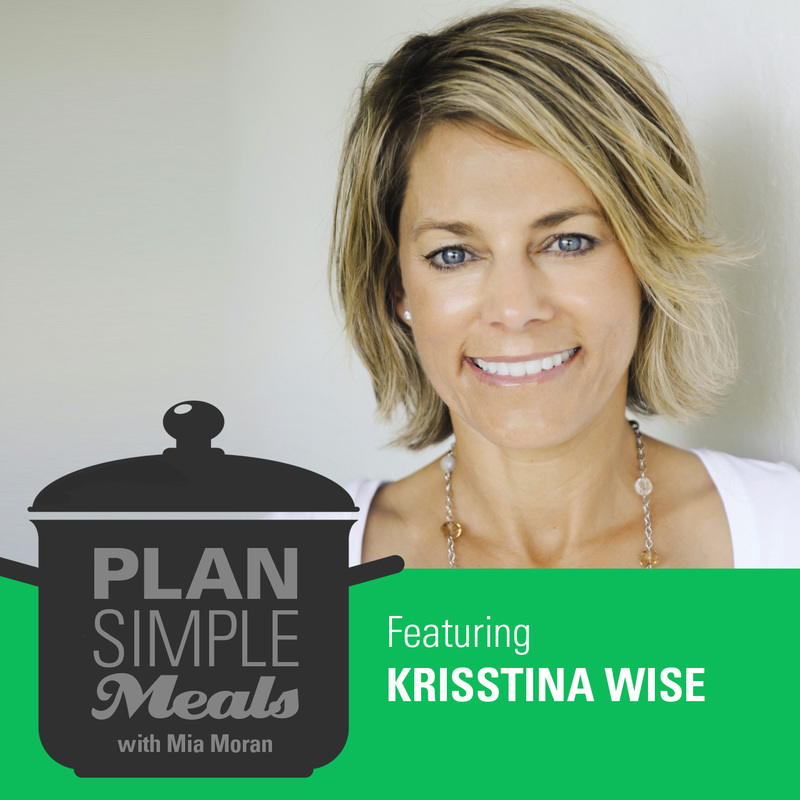 On this episode of the Plan Simple Meals Podcast, I’m so, so excited to talk with Amy Tangerine, who runs a creative company that helps women believe that they are creative and that you can craft a life you love by infusing creativity, fun and intention into your every day. We talk about the joy of making, which can be about the product, but is often about the process or the time you spent making. 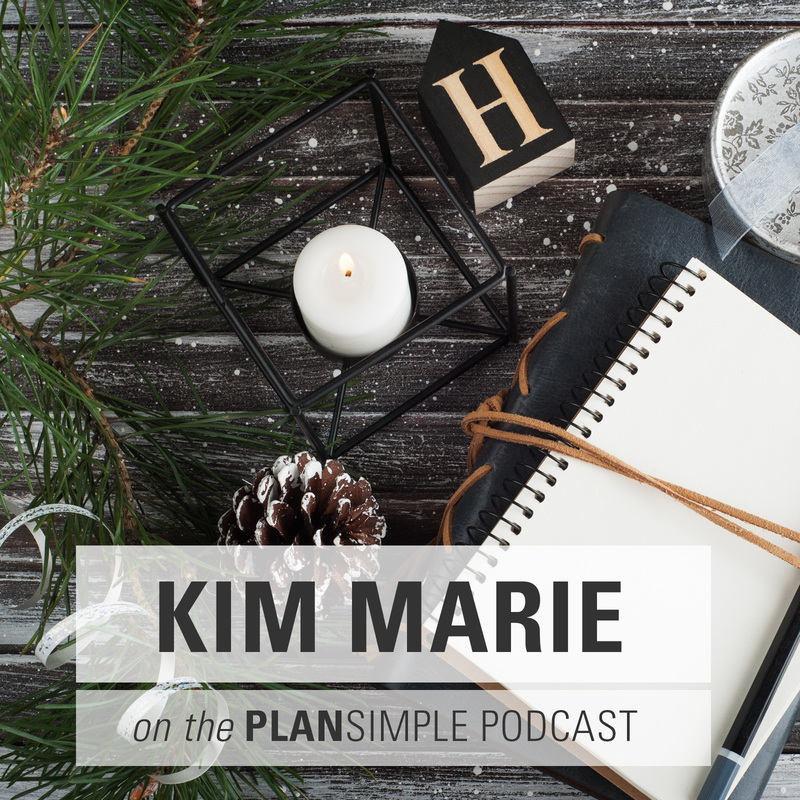 Amy talks about being really present in the moment when she is crafting. As moms we can tap into our own creativity, but we can also nurture creativity in our kids. Amy talks about her mom starting her onto the idea that she could create things and people would buy them. But we also talk about how the plan to sell can detract from enjoying the process of creating. 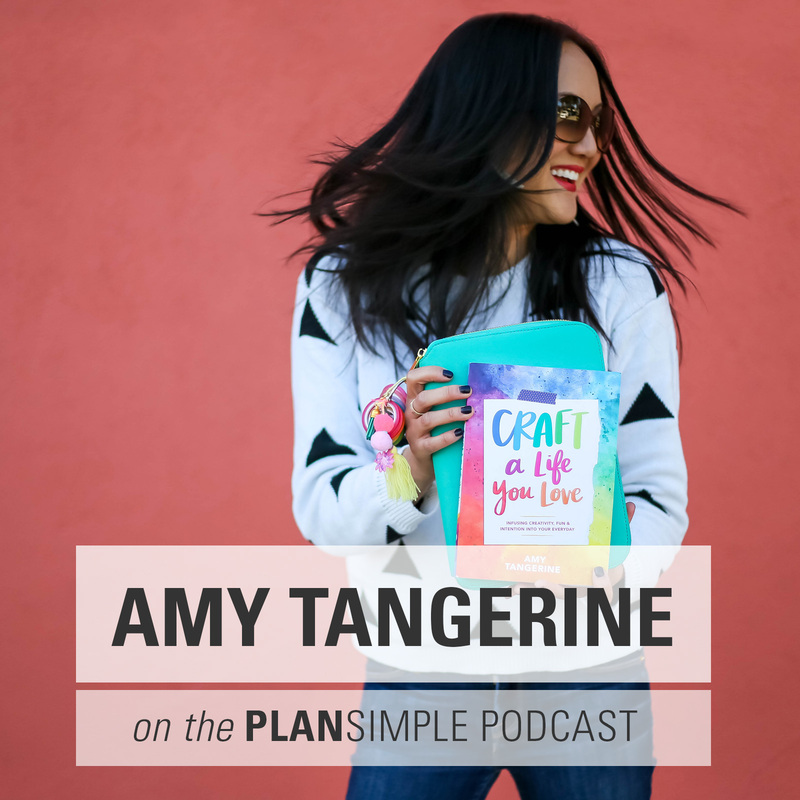 Amy is the Founder of Amy Tangerine, a creative lifestyle company that creates online content as well as fun, tangible products like tee shirts and craft supplies. 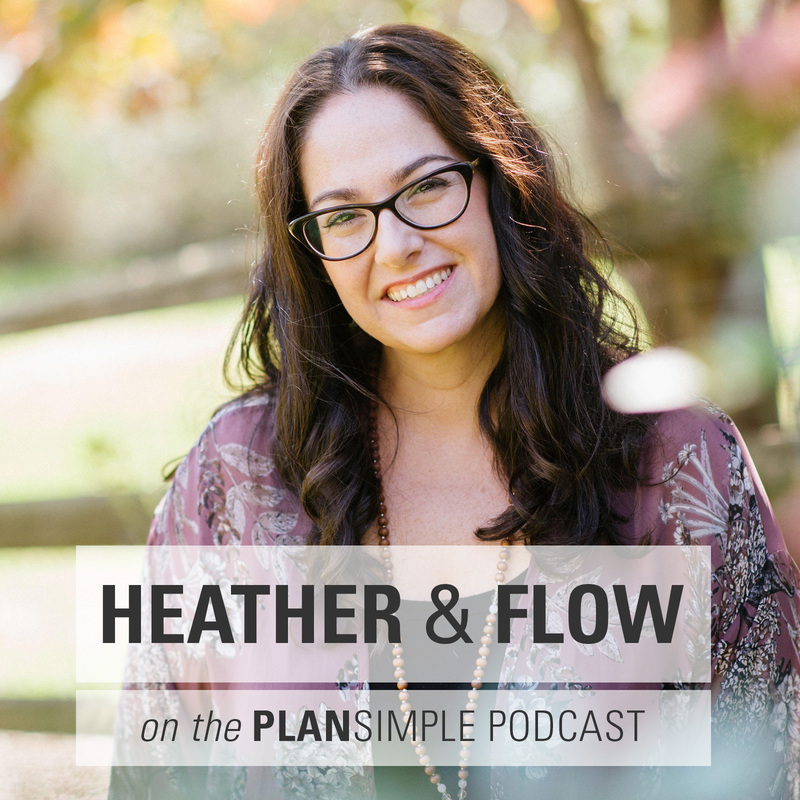 Amy wrote the book, Craft a Life You Love, has taught workshops all over the world, makes YouTube videos, and consults with awesome brands and clients. Amy’s mission is to inspire women everywhere to feel joy and confidence by infusing creativity, fun and intention into the everyday. MAKE 10 MINUTES FOR CREATIVITY. Amy says that everybody can find 10 minutes a day to be creative. Can you take 10 minutes before your kids get up or during lunch or after your kids are in bed? Know what you would like to do with that time—doodling, journaling, scrapbook a page … whatever it is take 10 minutes every day. GIVE PERMISSIONS. In her book, Amy has a permission slip for creativity, because you need to nourish your soul first. Give yourself permission: The most important of my day is the part where I take care of myself and feed my soul. I cannot be the best partner, the best employee, the best boss, the best parent or the best friend if I’m not at my best. Therefore, I have permission each and every day to pursue my craft in order to take love and care of myself and be my best self for the most important people in my life. Sign it, and live it. WRITE A HANDWRITTEN NOTE. A handwritten note can brighten somebody’s day more than you know. 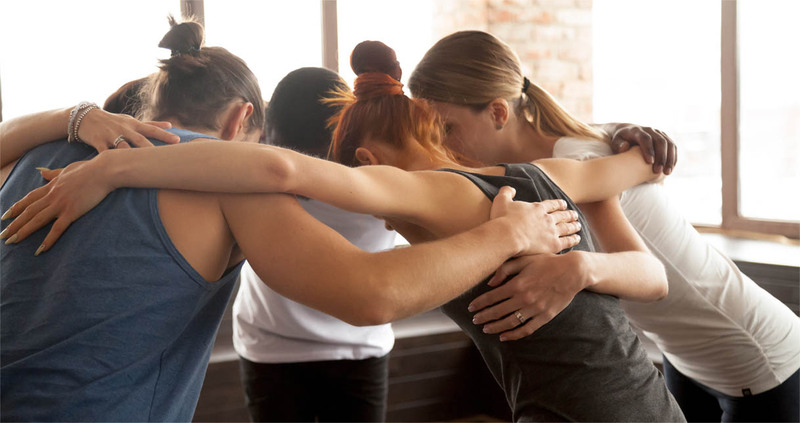 Take a few minutes to write a note to your child, partner, or friend. Or write one to a client or coach or mentor. Don’t worry about perfection, just write from the heart and hand letter it.